Expert advice and tips on improving your photography from Damien Demolder. 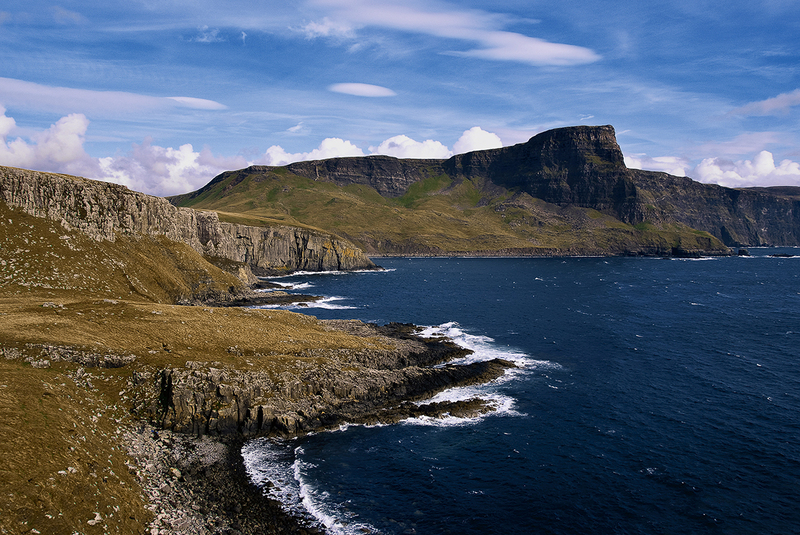 He gives his appraisal of Ness Point, Isle of Skye by Bob Hill, to offer advice on how it might be improved. 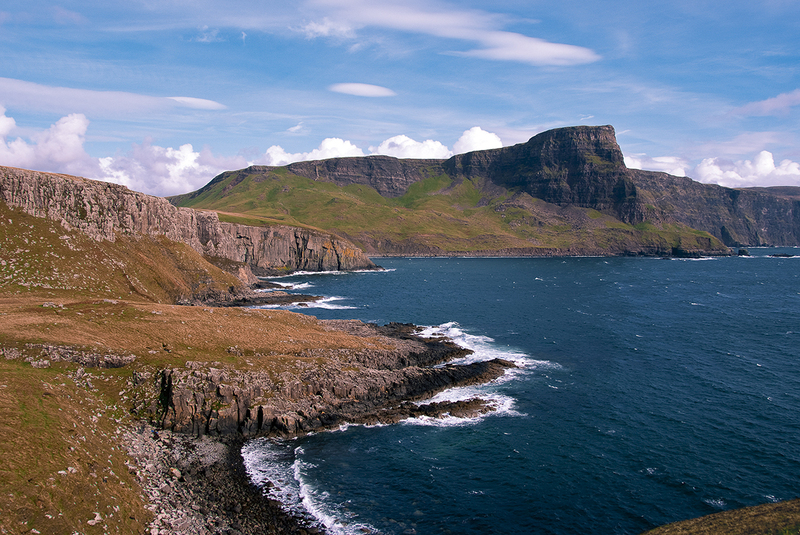 I rather like this slightly factual picture of Ness Point on the Isle of Skye that Bob has sent in. He hasn’t tried to dramatise the view, make more of the scene than was really there, or use a photographic technique to create a sensation. The picture is very believable, and I get a real sense of what Ness Point is like and what it’s like to be there. The scenery is impressive enough without human ‘artistic’ intervention and Bob has done very well to leave it alone and let it speak for itself. The only thing wrong with Bob’s picture is the colouration. The reds and yellows are too warm, and the blues and cyans too cool. A quick trip to the Hue/Saturation window fixed that, with a shift to all four of those colours making a much more neutral result. I am slightly bothered by that strip of land in the bottom right corner of the frame. It looks as though Bob didn’t see it in the viewfinder when he was shooting, and quite possibly it wasn’t visible in his less-than-100% viewfinder. It would, however, have been visible on the rear LCD when the image played back. A shift in his position would have removed it. This needs to go because there isn’t enough of it to feel as though it should be there, and there’s too much for it not to be noticed. I cloned it out to show the image without it.